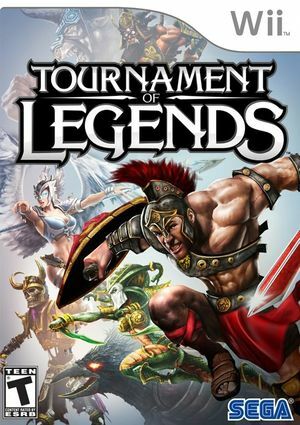 Tournament of Legends offers a 3D fighting experience for one or two players, featuring a host of fighters based on legends from world mythology: the Minotaur, a powerful Gladiator, a mighty Valkyrie and other well known and awe-inspiring characters. Take these fighters to epic battles in fantastic fighting arenas where the combatants wield legendary weapons, launch magical attacks and dodge giant mythological creatures that protect their lairs. Master a range of incredible combat moves; including unleashing a man-eating lion, summoning a deadly rain of arrows and throwing a nest of venomous snakes. The graph below charts the compatibility with Tournament of Legends since Dolphin's 2.0 release, listing revisions only where a compatibility change occurred. This page was last edited on 13 January 2018, at 15:13.